Globe Telecom recently announced their postpaid plans for the iPhone Xs and the iPhone Xs Max. The iPhone Xs and the iPhone Xs Max are available at Globe’s ThePlan. Pre-orders start on October 19 through their website, with availability in stores set on October 26, 2018. The iPhone Xs is available for PHP3,499, broken down thats ThePLAN 1799 plus a monthly cashout of PHP1,700. The iPhone Xs Max, on the other hand, is available for PHP3,799. That’s Plan 1799 and a monthly cashout of PHP2,000. You can also get it with any of Globe’s ThePlans with a one-time cashout, depending on the plan you choose. All ThePlans come with unli-calls and texts to Globe and TM, free 6-month subscription to Amazon Prime Video and DisneyLife, and a 24-month lock up contract. ThePlan 999 comes with 4GB of data, ThePlan 1799 with 11GB, and ThePlan 2499 with 21GB. The iPhone Xs and the Xs Max feature Super Retina HD AMOLED displays with a 19.5:9 aspect ratio, True Tone, and HDR support. 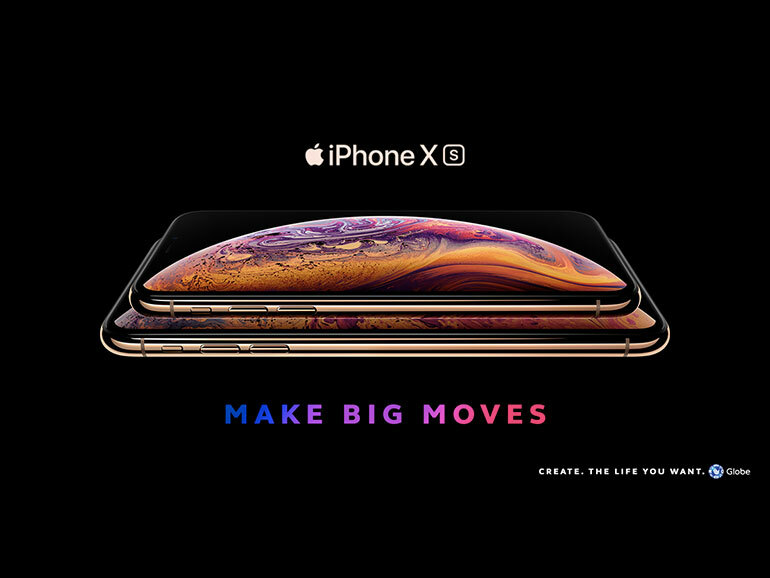 The Xs measures in at 5.8-inches with a 2436 x 1125 resolution, while the XS Max at 6.5-inch screen with a 2688 x 1242 resolution. Both idevices are powered by Apple’s new A12 Bionic processor, which uses a 7nm process with a 6-core design, a 4-core GPU, and a new 8-core neural engine. Both come with 12MP + 12MP dual rear cameras and 7MP selfie shooters housed in a large notch with the sensors used for Face ID. The iPhone XS and XS Max will be available in the Philippines starting October 26, 2018.